This page will include the most recent innovations in Terrier Welfare. This may assist members as we enter a new era of animal welfare legislation. 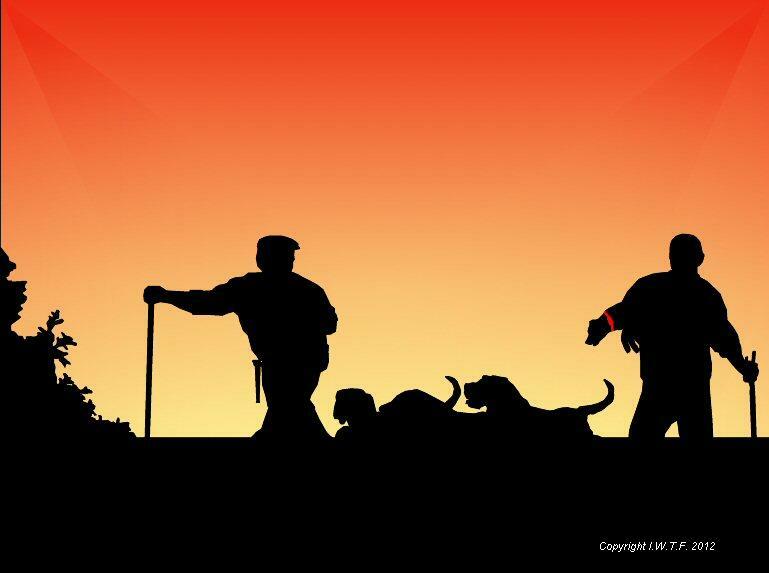 The primary objective of the guideline is to set standards and clearly define what is expected of all individuals engaged in the care and management of working terriers. It addresses the main areas of activity and defines the legislation of which owners must be cognisant while active within I.W.T.F. affiliated membership. The guideline is not intended as an exhaustive list of terrier practices, but clearly highlights what level of knowledge and competence is required while caring for working terriers. It seeks to educate stakeholders on the various legislative elements associated with animal welfare and indicates what constitutes best practice. 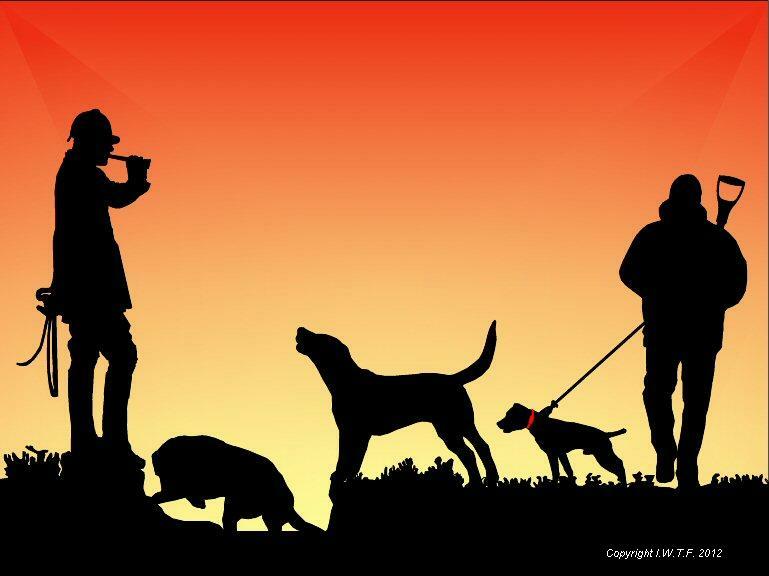 Terrier welfare is concerned with the wellbeing of the dog, the physical as well as the social environment. 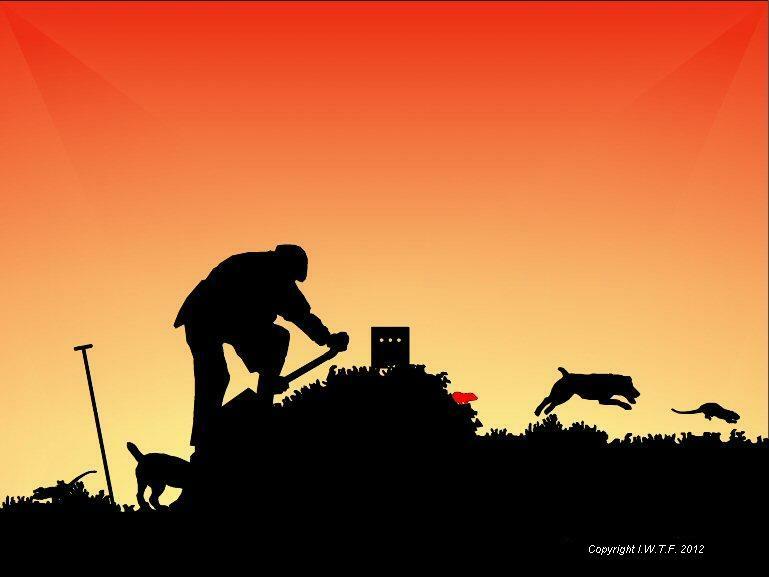 Given that terriers depend on human interaction, we are responsible for their welfare. The guideline emphasises the vital relationship between the terrier carer and the veterinarian and how a strong relationship between both parties will ensure that responsible care be afforded to the terrier. This Guideline is produced in compliance with the requirements of the Animal Health & Welfare Act 2013. Compliance with this Welfare Guideline, I.W.T.F. 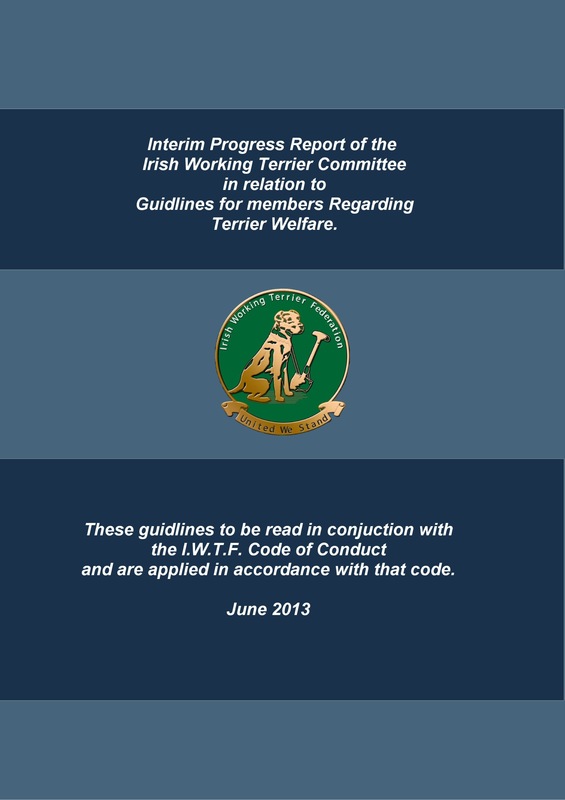 Code of Conduct, the Animal Health & Welfare Act 2013 and all other legislative instruments is required by all participants within IWTF affiliated membership and will be of significant benefit to the practice of terrierwork and the very animal that we hold in such high regard. This Welfare Guideline may be revised from time to time to reflect new knowledge and best practice, such that the welfare of terriers is optimised at all times.